The City of Harrisburg is assisted by groups of citizens in many ways, such as setting policy, settling disputes, aiding fellow citizens and planning for the future. These groups include boards, commissions, committees, councils, corporations, authorities, agencies, etc. The Boards and Commissions involve residents of the City of Harrisburg who volunteer their time and expertise for the benefit of the community. Community service is a rewarding experience. If you are interested in appointment by Mayor Eric Papenfuse in an area where your expertise and commitment will make a difference, please review the board and commission listings below and submit an application for consideration. For more information, contact the City Helpdesk by dialing 3-1-1 or 717-255-3040. Audit Committee (Ordinance 6-2007). Editor's Note: Added at time of adoption of Code (see Ch. 1-303). The Audit Committee (hereinafter “the Committee”) shall provide independent review and oversight of the City’s financial reporting processes, internal controls, and independent auditors. In effectively carrying out its duties and responsibilities, the Committee will help ensure that the City properly develops and adheres to a sound system of internal controls, and utilizes procedures to objectively assess the City’s accounting and auditing practices. Additionally, the Committee will help ensure that the independent auditors, through the independent audit, objectively assess the government’s financial reporting practices. Terms on the Committee shall be for five years and shall be staggered. Broad Street Market Authority. Municipality Authorities Act of 1945, Act of May 2, 1945, P.L. 382, as amended, 53 P.S. § 301 et seq. Editor's Note: See now 53 Pa.C.S.A. § 5601 et seq. (Ordinance 35-1978; Ordinance 22-1981, as amended). The power of the Authority shall be exercised by a governing body to be called the “Board” which shall be composed of five members; one member shall serve for one year, one for two years, one for three years, one for four years and one for five years from the January first next succeeding the date of incorporation or amendment… The Mayor, with Council’s approval, is to appoint five members of the Board. The Mayor, with the advice and consent of Council, shall appoint a Building and Housing Code Board of Appeals of the City of Harrisburg (hereinafter "Board") to hear appeals from orders in the form of written notices to comply with the Building Code, Mechanical Code, Housing Code, Electrical Code, Plumbing Code, Property Maintenance Code, Residential Code for One- and Two-Family Dwellings, Fuel Gas Code, Existing Building Code, Uniform Construction Code, rent withholding ordinances and codified regulations promulgated under the authority of such enactments issued by the Codes Administrator, or his or her designee, and to perform such other duties as the Mayor or Council may assign it. 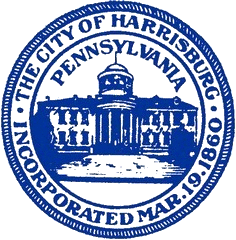 The initial membership of the Board shall consist of those residents of the City of Harrisburg who currently serve at the pleasure of the Mayor as members of the Housing Code Board of Appeals and whose terms shall expire at the time said terms would have expired had the Building and Housing Code Board of Appeals not been created. Editor's Note: Amended at time of adoption of Code (see Ch. 1-303). The Revolving Loan Program (RLP) is an economic development tool, funded through the Federal Community Development Block Grant Fund. The City of Harrisburg, Office of Business and Industrial Development (OBID), is responsible for the development, administration and implementation of the Revolving Loan Program. (1) A member of City Council or a representative thereof, to be appointed as Council shall determine. (2) The Mayor or the Mayor's designee. (3) Three residents of the City, one of whom shall be appointed by City Council and two of whom shall be appointed by the Mayor with the advice and consent of Council. Capital Area Transit Authority. Municipality Authorities Act of 1945, Act of May 2, 1945, P.L. 382, as amended, 53 P.S. § 301 et seq. Editor's Note: See now 53 Pa.C.S.A. § 5601 et seq. (Ordinance 6-1973). Coordinating Committee and the Technical Committee of Harrisburg Area Transportation Study (HATS). Created in response to the Federal-Aid Highway Act of 1962, which mandated regional transportation planning as a condition for receiving federal funds for transportation projects. Fire Civil Service Commission. Authorized by firemen's civil service provisions of the Third Class City Code, Chapter 82, Article II. Editor's Note: See 53 P.S. § 39861 et seq. The Board of Health, so appointed, shall have all power and authority and perform the duties now or hereafter conferred and prescribed by law upon Boards of Health of cities. Further, the Board will serve as an advisory panel to the Mayor, Council and the Health Officer. The Board of Health shall function as a Board of Review of the administrative decisions of the Health Officer and his/her employees. The Board shall be composed of five members who shall be appointed by the Mayor with the approval of Council. The members of the Board of Health shall be residents of the City, except in the case of physicians, who shall be residents of or have an office in the City. Harrisburg Parking Authority. The Parking Authorities Act, Act of June 5, 1947, as amended, 53 P.S. § 344 et seq. Editor's Note: See now 53 Pa.C.S.A. § 5501 et seq. (Ordinance 13-1972). A Board of Historical Architectural Review, identified as the Harrisburg Historical Architectural Review Board (hereinafter "Board" or "HARB"), is hereby established and shall be composed of seven members, appointed by the Mayor, with the advice and consent of Council, one of whom shall be a registered architect, one a licensed real estate broker and one the Codes Administrator of the City or designee. Four additional persons with a knowledge of and interest in the preservation of the Historic District, and who reside therein, shall be appointed. All members of the Board shall be residents of, or own real estate located in, the City during their membership. The Deputy Director for Planning or his/her representative shall provide staff services to the Board. The initial terms of the first seven members shall be as follows: two shall be appointed for one year, three for two years, and two for three years. Their successors shall serve for terms of three years. Board members failing to attend three consecutive meetings shall forfeit their membership, unless the Chairperson of the Board receives written notification from the member involved that the absence was due to personal illness or the death or illness of an immediate family member. Should any Board member fail to attend three consecutive meetings without providing the notification set forth above, the Chairperson of the Board, or the City representative (if the absent member is the Chairperson), shall notify the Mayor and City Council of a vacancy on the Board by virtue of said member's unauthorized absences. Any member of the Board who shall cease to qualify as a member as herein set forth during his/her term of membership shall immediately create a vacancy on the Board. An appointment to fill a vacancy shall be only for the unexpired portion of the term so vacated. Job Development Authority. Municipality Authorities Act of 1945, Act of May 2, 1945, P.L. 382, as amended, 53 P.S. § 301 et seq. Editor's Note: See now 53 Pa.C.S.A. § 5601 et seq. (Ordinance 30-1990). The purpose of the Authority is to increase and retain jobs in the City of Harrisburg, and strengthen the economic base of the City through the establishment of a Surety Bonding Assistance Program (BAP) to assist minority and small businesses obtain surety bonding. The Authority may also provide contract advance and working capital loans for firms in the BAP to assure successful completion of assisted contracts and continued existence/growth of such firms, and any other assistance incidental to the success of the program. The Authority shall be governed by a five member board of directors who, except for the initial members appointed, shall serve for a term of three years. The members shall be appointed by the Mayor subject to confirmation by majority vote of the members of City Council. City residence shall be a condition precedent to appointment; no member may continue to serve if city residence is terminated. Leasing Authority. Municipality Authorities Act of 1945, Act of May 2, 1945, P.L. 382, as amended, 53 P.S. § 301 et seq. Editor's Note: See now 53 Pa.C.S.A. § 5601 et seq. (Ordinance 7-1986). The purposes of the Authority are to acquire, hold, construct, improve, maintain and operate, own and lease either in the capacity of lessor or lessee, projects of the kind and character authorized by the provisions of the Act, and to sell, lease as lessor, transfer and dispose of any property or interests therein at any time acquired by the Authority. The Mayor's Office of Equal Economic Opportunity (MOEEO) is responsible for the development, administration and implementation of the Community Development Block Grant Revolving Loan Program (RLP). The RLP provides low-interest financing to firms in the City which will in turn strengthen existing jobs, create new employment opportunities, stabilize or increase the tax base, and increase private investment. Funding for the RLP can be appropriated only by the action of Council. The committee of five members appointed by the Mayor and confirmed by City Council, consisting of two representatives of the community and three representatives of the business community. The LRC will reflect the demographic makeup of the community at large. Term of office shall be three years. Terms of office shall be staggered. There is hereby created a Planning Commission pursuant to the provisions of the Pennsylvania Municipalities Planning Code, Act 247 of July 31, 1968, P.L. 805, as amended, 53 P.S. § 10101 et seq. The Planning Commission hereby created shall have seven members, to be appointed by the Mayor with the advice and consent of Council, in accordance with the provisions of the Administrative Code. Editor's Note: See Title 2, Administrative Code. Police Civil Service Commission. Authorized by the civil service provisions of the Third Class City Code, Article XLIV. Editor's Note: See 53 P.S. § 39401 et seq. The Youth Commission shall consist of 11 residents of the City who shall be between the ages of 13 and 18 inclusive. Commission members reaching the age of 19 during the course of their term shall complete the term to its conclusion. [i] Members and Term Expiration Updated with Resolutions from 2008 through 2013.